Today’s modular multifamily construction aims for quick delivery and cost savings. Jim Young's first experience with modular multifamily construction in 2001 was almost his last. With today's new designs coupled with improved efficiency, environmental benefits, and cost savings, however, modular is once again drawing the attention of developers. Particularly frustrating was the requirement that the units be inspected by the municipality, despite previous factory inspections. The inspection process slowed the project; though it went well overall, he didn't undertake another modular project for some time. Fast forward to 2017, when Young walked into a friend's office. He was so impressed by a rendering of a modular multistory student apartment building that he signed on as its developer. This fall, Cheatham Street Flats in Austin will welcome its first tenants. Like many other developers, builders, and municipalities across the country, Young recognizes that modular multifamily construction has come a long way in recent years. Manufacturers offer a variety of modular units built with wood, steel, or even repurposed shipping containers. The once-boxy look has been replaced by stylish exterior treatments. Units can arrive on a building site plumbed, wired, drywalled, and even furnished with appliances, countertops, and ceiling fans. Modular multifamily construction regularly realizes improved efficiency, environmental benefits, and cost savings. “The main driver for me is the labor market,” Young says. “We have significant gaps in skilled trades - master plumbers and electricians are already in short supply, and many are retiring.” In addition, he says, “Being able to build a mixed-use project near downtown and deliver it in a reasonable amount of time meant that we didn't have to plan for as much of a carry cost. Young is building with Z Modular, a Chicago-based firm that produces steel modular units. He chose steel because it can be built to tolerances more precise than wood. After the Cheatham Street building is complete, he hopes to produce more modular units, and steel will allow him to build higher than 60 feet. Despite its promise, modular still accounts for a small percentage of new multifamily construction - currently about 4 percent of new construction starts, according to the Modular Building Institute. But with a combination of market forces and advancing technology, proponents see an increased willingness to consider modular for multifamily use. While modular can shorten time on a building site, Young cautions that “there's a significant amount of proper, prior planning.” Much of this planning demands a more integrated way of working with architects, engineers and contractors - something that manufacturers are addressing by offering completely integrated services themselves. Skender is scheduled to begin production in April on its facility on Chicago's South Side, where it will design, engineer, and build each project. It is working with the city to include permitting as the units are manufactured. The company has several projects in planning, including a six-story, 110-unit apartment building and a row of three-flats designed for city infill lots. Because they'll be pre-permitted, Skender says, the company hopes to deliver the keys in two to three months. 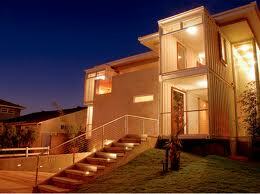 Modular construction also can be a solution for areas where affordable housing is in high demand. SG Blocks in Brooklyn Heights, N.Y., which Paul Galvin started in 2007, converts steel shipping containers to modular units. The units are assembled on site and leave the factory 90 to 95 percent complete. “Each container is exactly built to the convention for safe containers,” Galvin says. “Even after we modify them, they're still intermodal. They're made to set quickly because of their original use, so the amount of disruption on site is shortened. Developers and builders also must educate municipalities that are unfamiliar with the process. “It takes a willingness to help educate municipalities rather than just demanding they do what the law says; quite often, your modular project might be the first one they've ever seen,” Young says. Due to that close relationship with the builder, Galvin recommends that developers choose their builders based on their needs. “Most importantly, you need to engage modular-friendly professionals at the very beginning of your project so that it's designed with precision and efficiency on Day 1, rather than taking a set of plans designed for traditional wood construction and trying to repurpose those,” Galvin says.